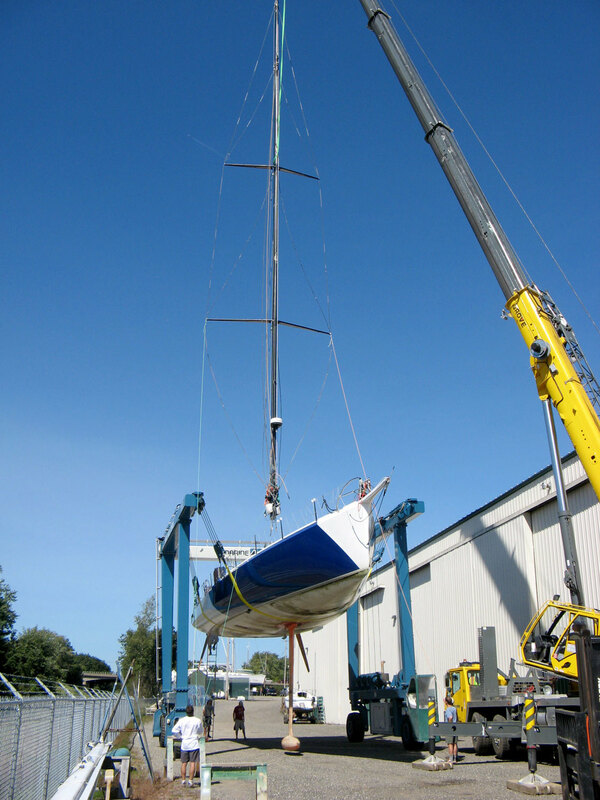 Maine Yacht Center completed a refit of the IMOCA Open 60 Great American IV (ex-Mirabaud), in which Rich Wilson will compete in the 2016-17 Vendée Globe, the toughest singlehanded sailing race in the world. 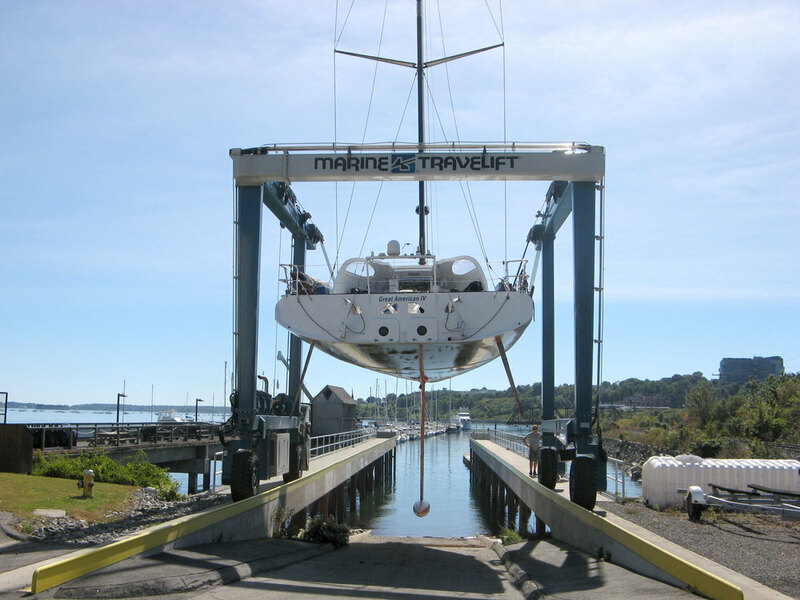 Wilson brought the exotic canting-keel race boat to MYC in Portland, Maine, in August 2013 after sailing it across the Atlantic Ocean from France, where he purchased it on behalf of his nonprofit educational foundation, Sites Alive. 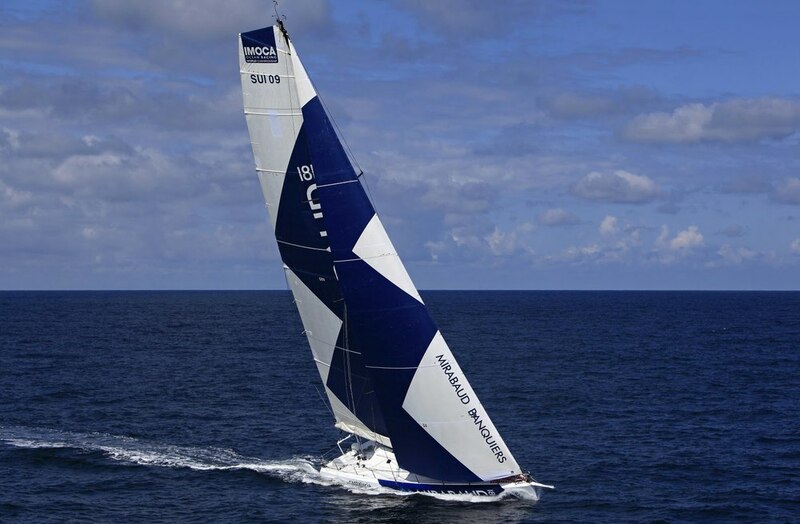 Designed by Owen Clarke Design of Great Britain, the boat was originally built and launched in 2006 in New Zealand for prominent French solo sailor Dominique Wavre, who sailed the boat in such prestigious events as the Vendée Globe and the Barcelona World Race. 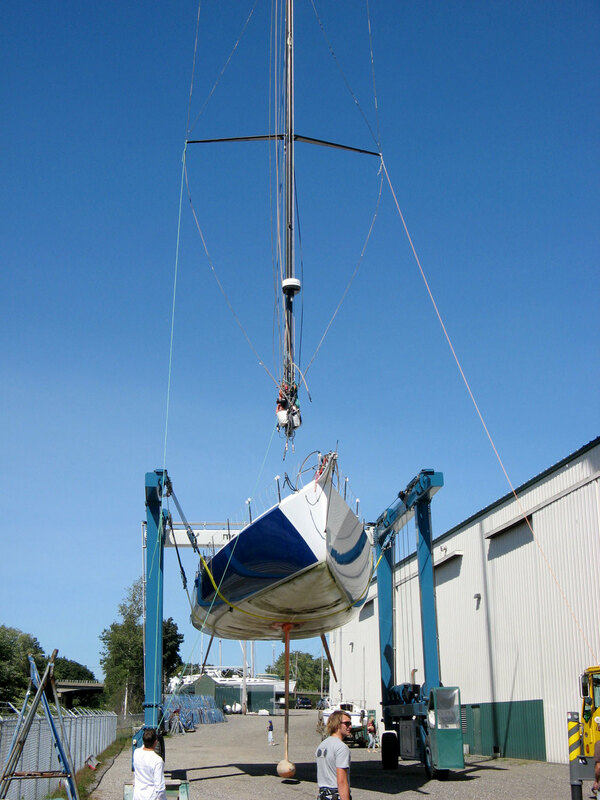 “It’s always a pleasure and privilege to work with Rich Wilson on any project,” said Harris after the current refit was completed. “He truly is like the Energizer Bunny, has great stamina, and brings intense focus and clarity to anything he puts his mind to.